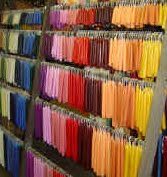 The store was unable to get unscented colored taper candles for a long time, because the suppliers were actually lacking them in the last few years. Some specialized candle stores even went out of business! Well, good news! We have a very large selection of candles made in Germany! They are roughly 8 inches (20cm) long and they're perfect for 7-day spells! 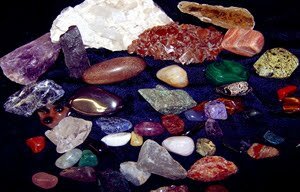 Our section of crystals and tumbled stones is very full!